A matched pair of princess-cut diamonds are held by platinum claws. Earrings are finished with posts and double-notched friction backs for pierced ears. 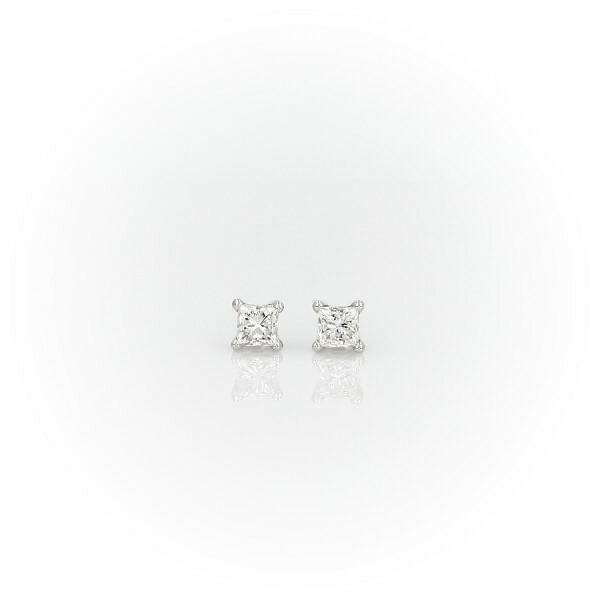 The pair has a minimum total weight of 0.33 ct.